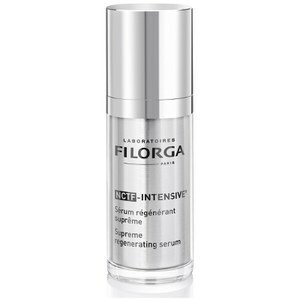 Discover boosted anti-ageing correction with Filorga NCTF-Intensive; a potent serum that tackles wrinkles and loss of elasticity, whilst leaving skin radiant. The serum boasts an ultra-light texture, which effortlessly glides onto skin and absorbs quickly. 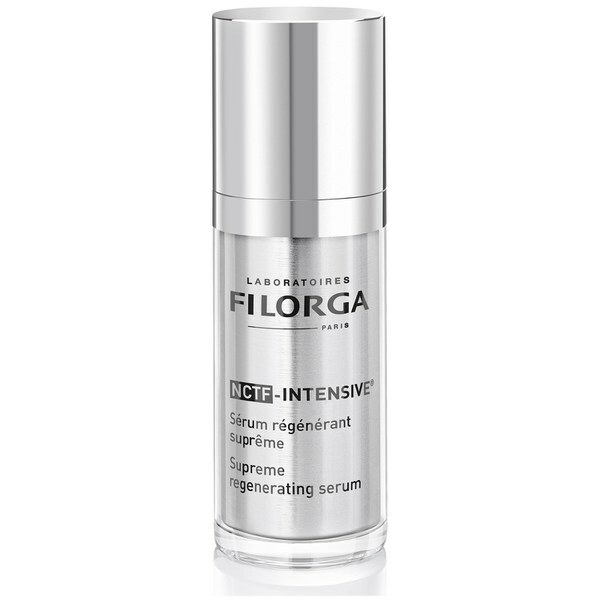 Utilising NCTF®, a medicine-derived polyrevitalising complex, the potent fluid has a concentration that is equivalent to injectable anti-ageing treatments and so delivers similar benefits without the pain or expense. The potent serum combines Retinol, a DNA complex and Vitamin C to create a rejuvenating solution that severely reduces the appearance of fine lines and wrinkles, as well as combating loss of elasticity to leave the face visibly firm. Working tirelessly, the serum reveals youthful skin that is energised and youthful.